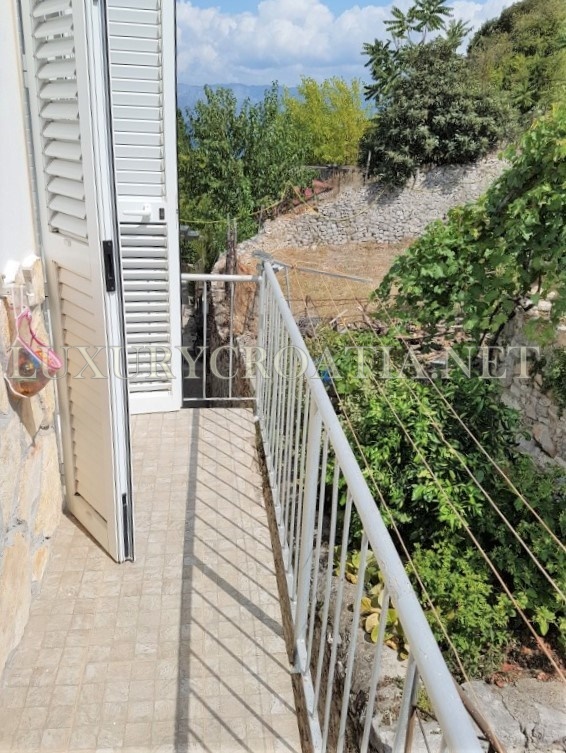 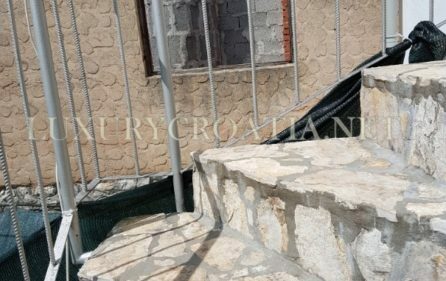 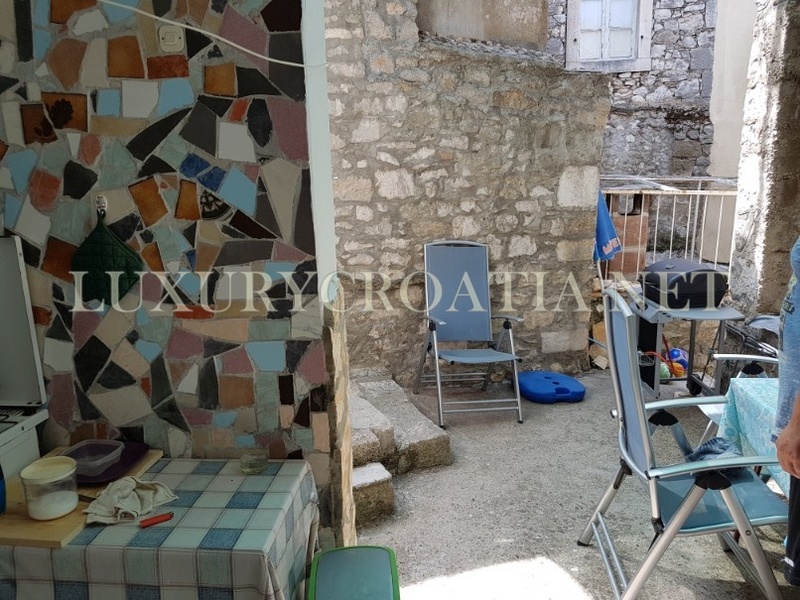 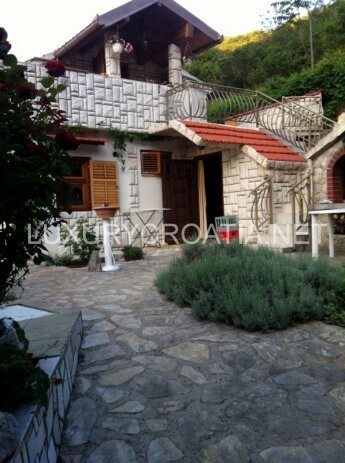 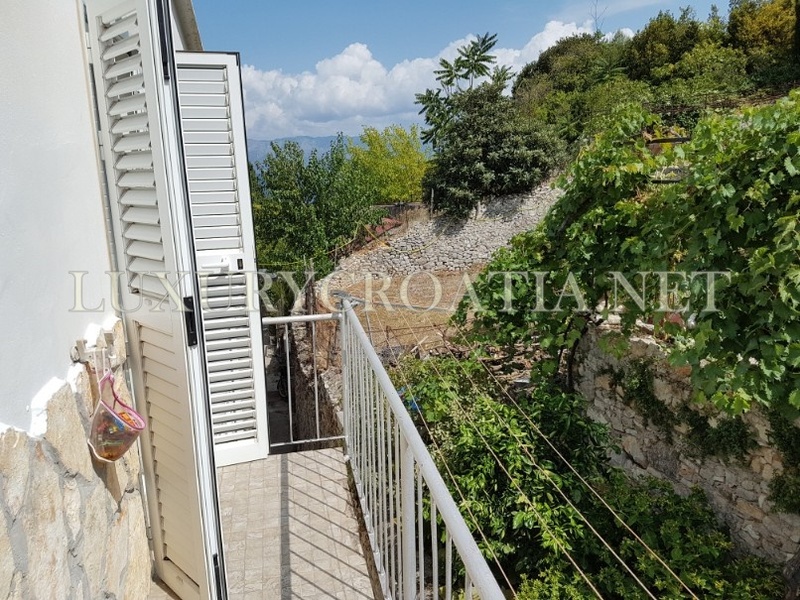 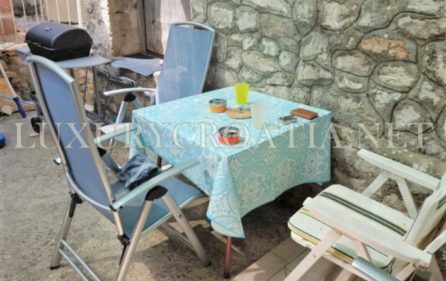 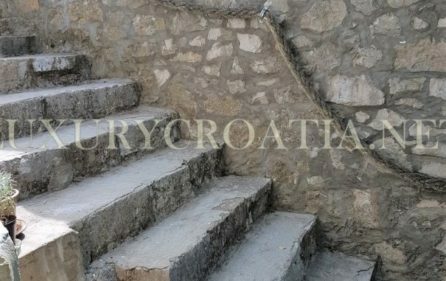 This renovated stone house for sale, Trpanj Peljesac has 3 apartments for the price of only 100 000 euro. 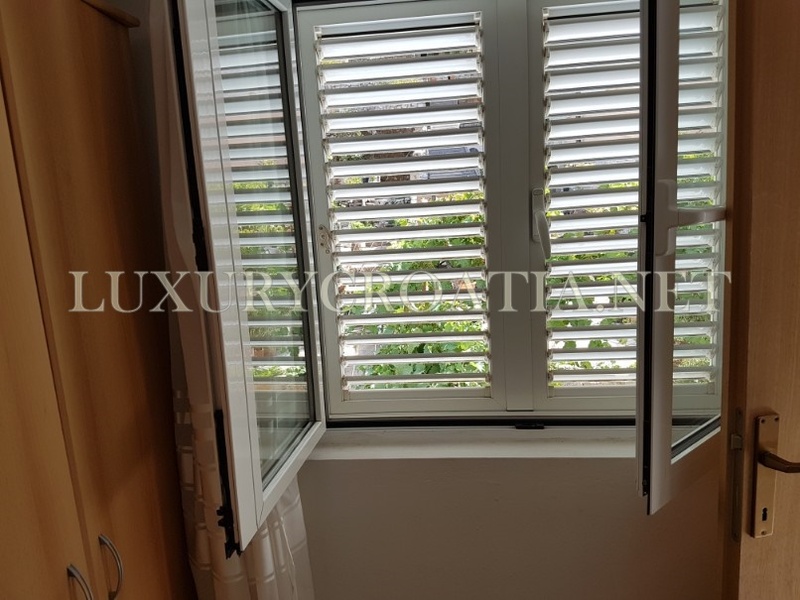 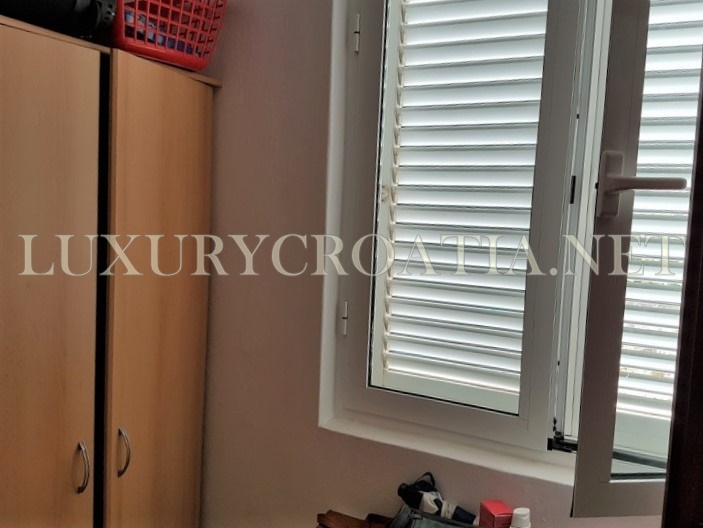 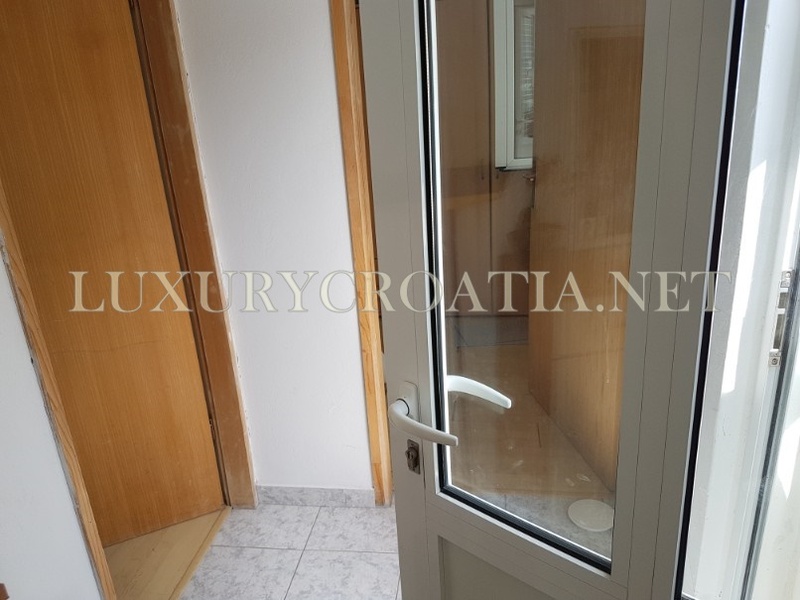 House is renovated completely, new aluminum shutters and pvc windows with double glass, ceramic tiles and wooden laminate floors in the bedrooms. 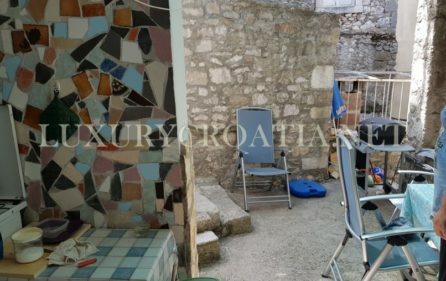 House has a small courtyard with electric fireplace. 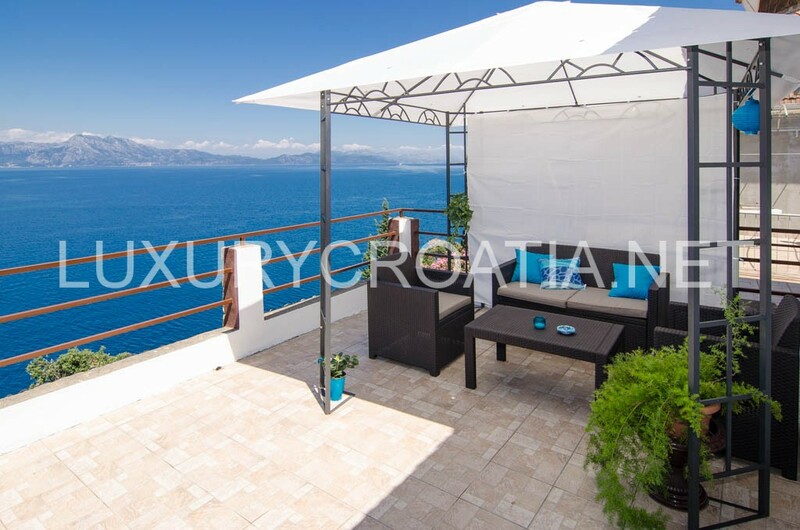 This is the lowest level – ground floor, which consist of a kitchen with open plan living room and dining area. 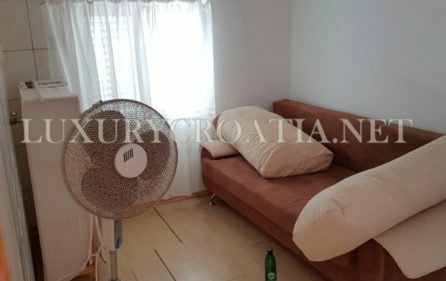 On this level, there is no separate bedroom but sofa can be extended into bed for two. 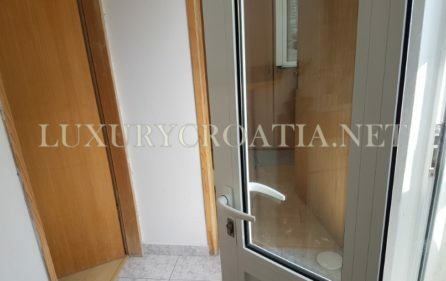 There is a bathroom on this level, which entrance is next to the entrance to the living room. 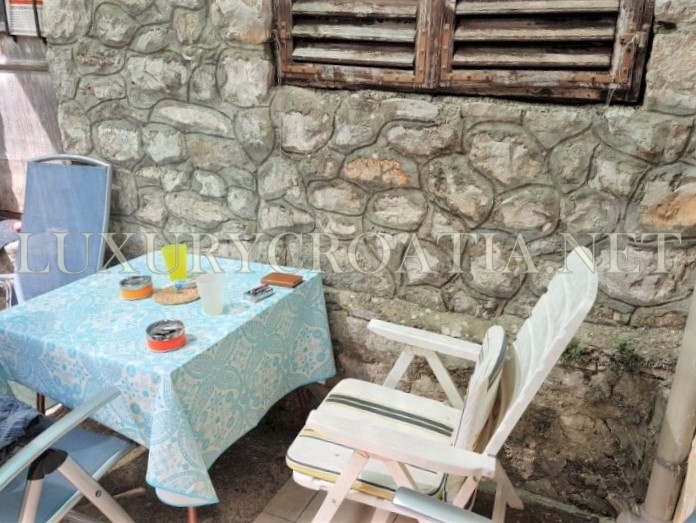 There is also outside summer kitchen next to the courtyard. 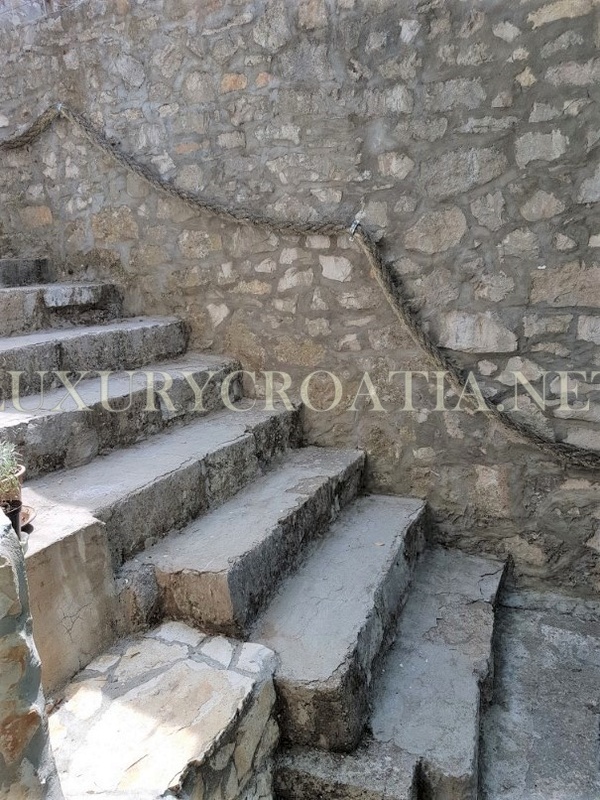 Outside stone stairs lead from this level to the upper level where is an apartment that has kitchen area (all prepared for instalation of the kitchen with tiles on the wall) and hallway with bathroom and separate bedroom. 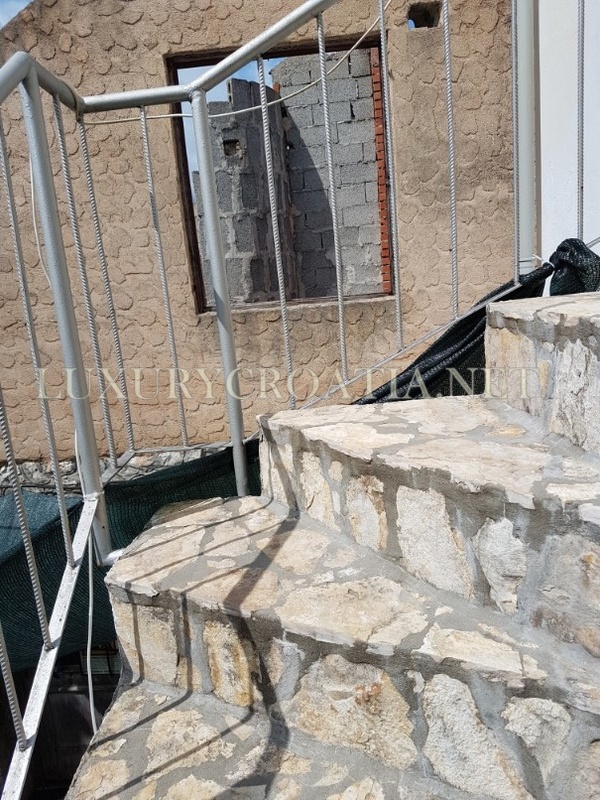 From this level, there are outside curved stone stairs leading to the attic apartment which consist also of kitchen room (tiles on the wall, prepared for the kitchen but kitchen elements not installed, now in use as a bedroom), with separate bedroom and hallway and bathroom. 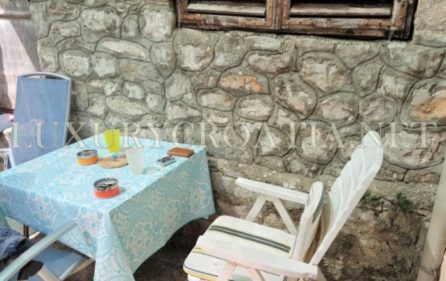 This cozy renovated stone house is located in the very center of the old town of Trpanj. 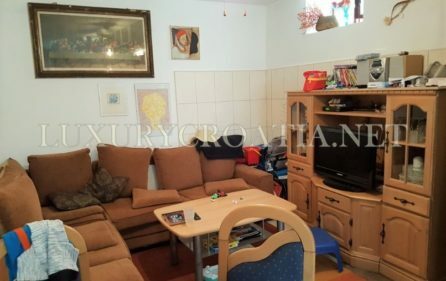 Parking is on the public area, about 100 meters from the house. 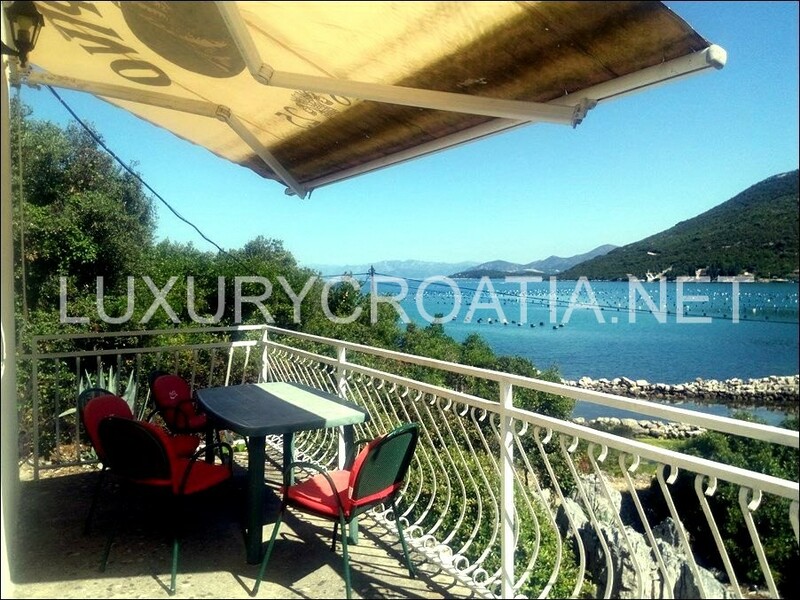 Beach is also very close, about 150 meters from the house. 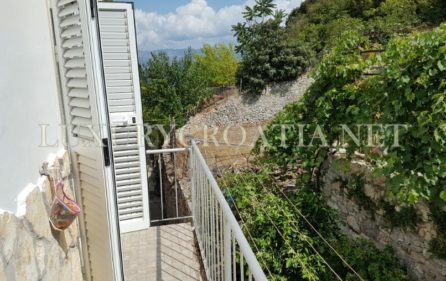 Also, shops, supermarket, restaurants are at the walk distance to the car is not necessary except if you travel out of Trpanj. 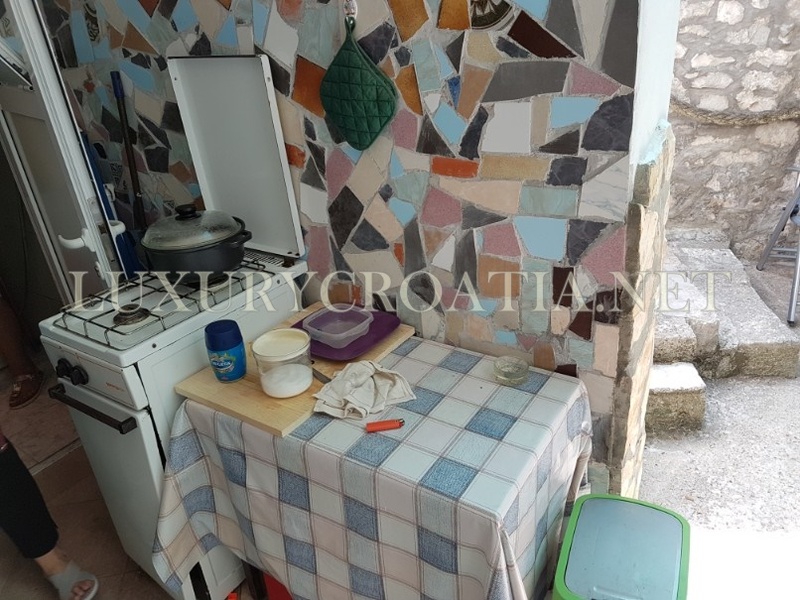 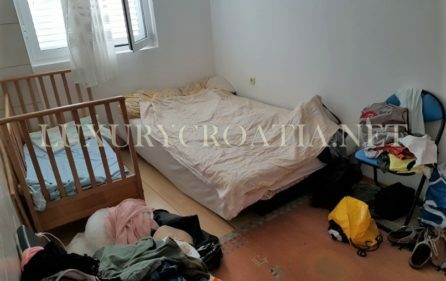 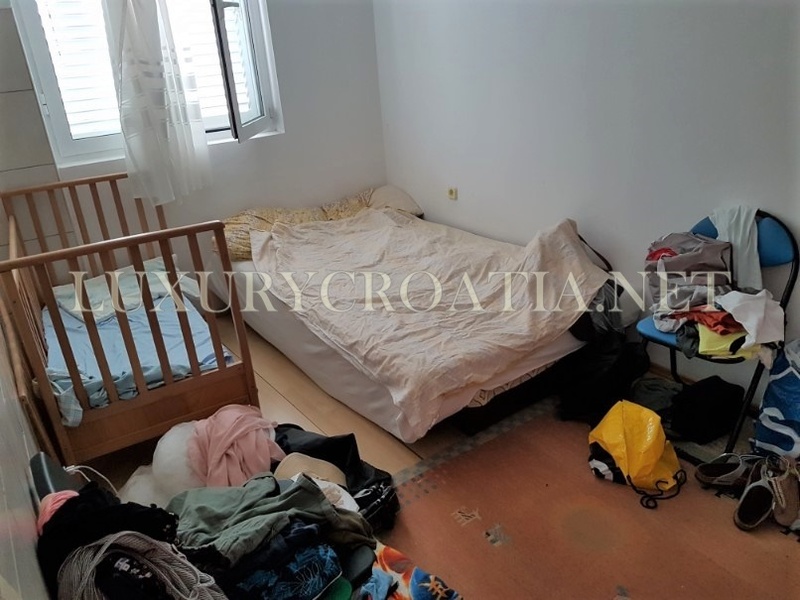 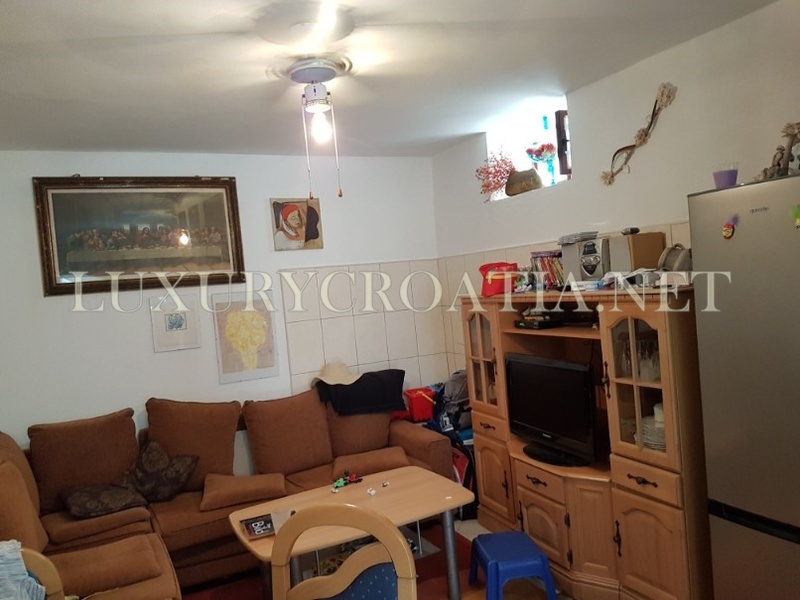 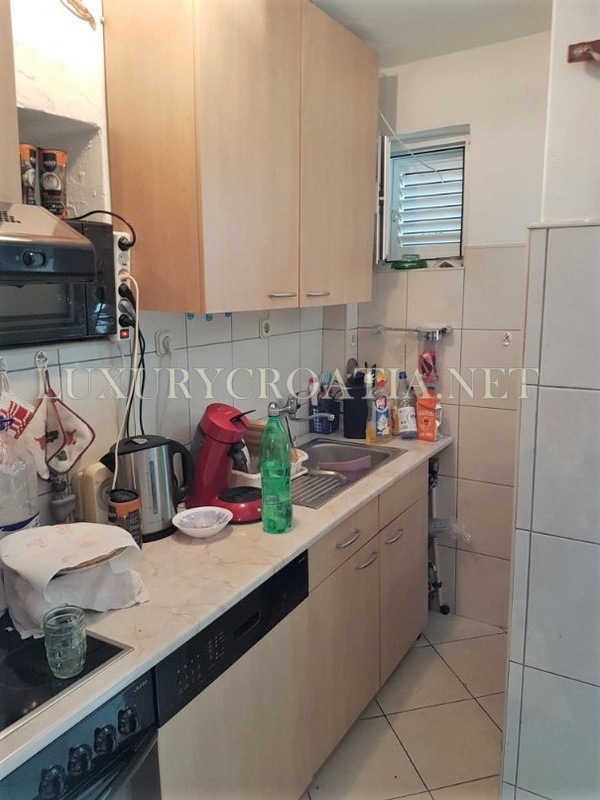 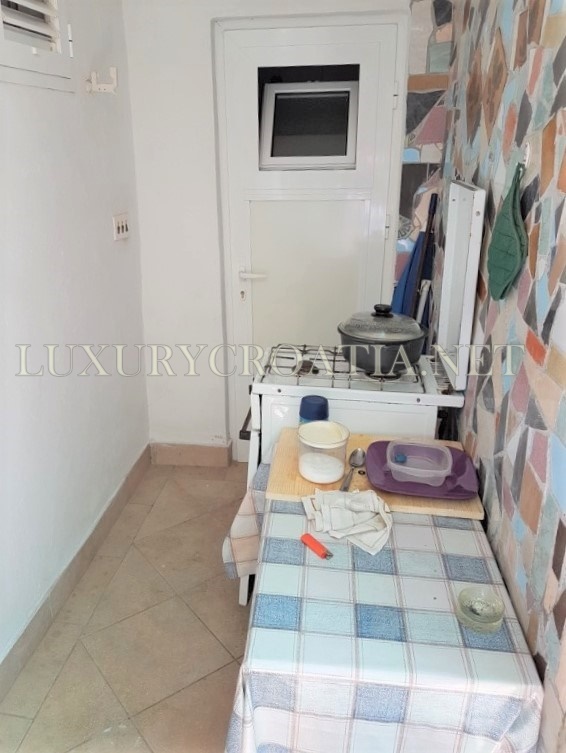 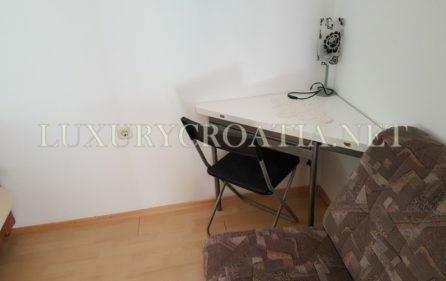 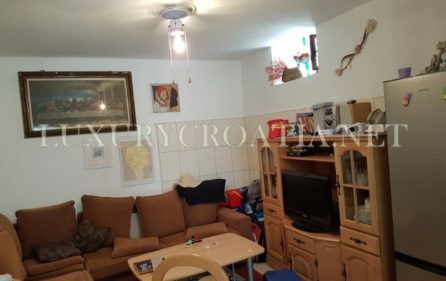 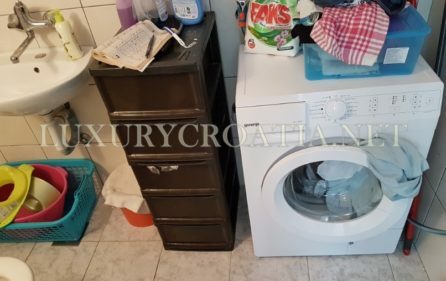 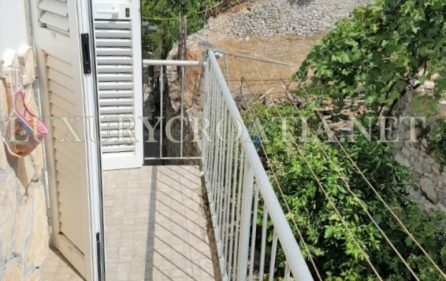 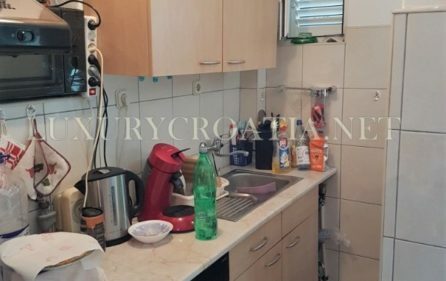 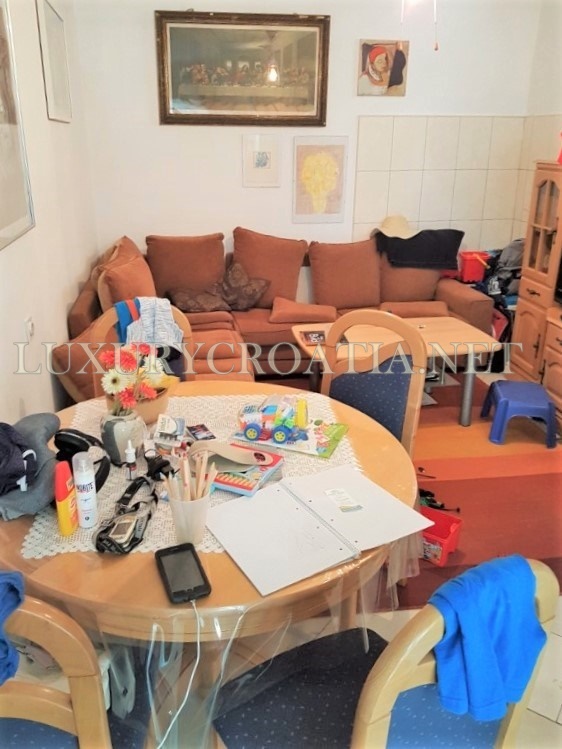 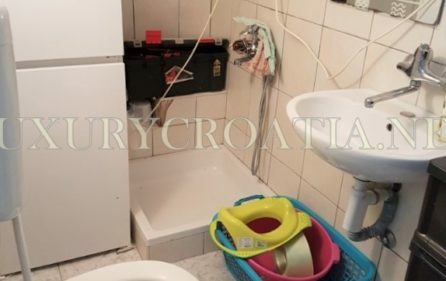 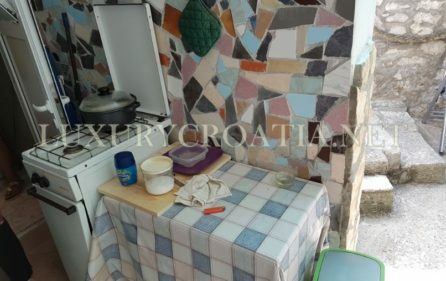 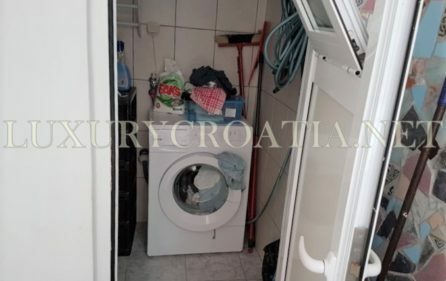 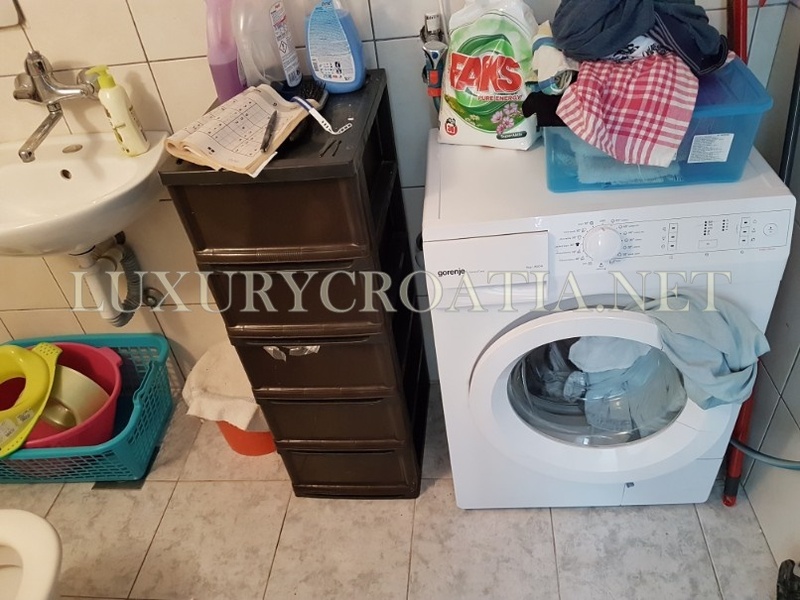 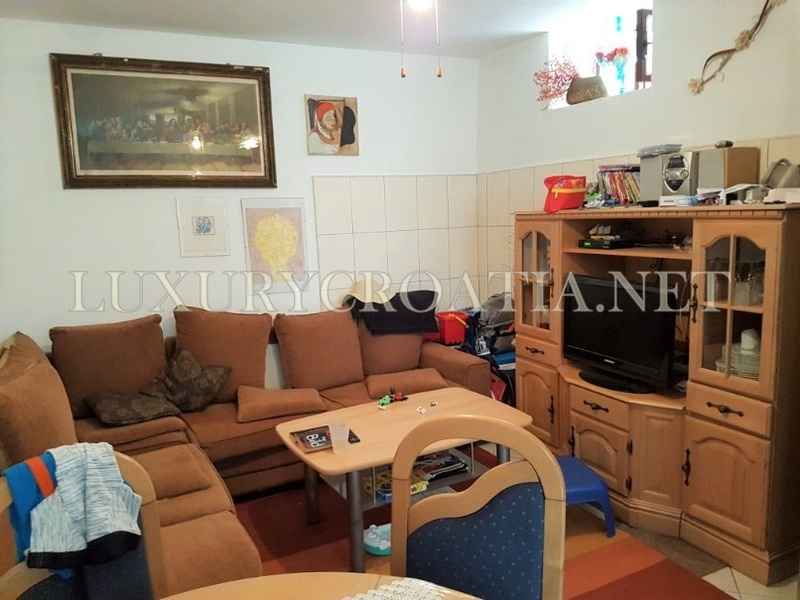 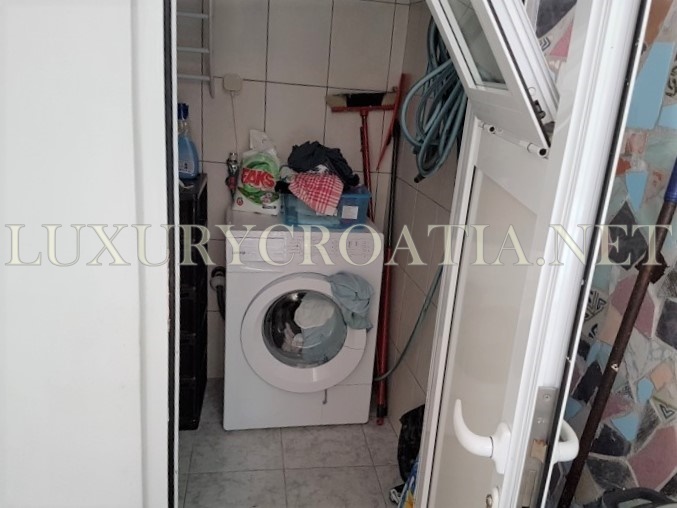 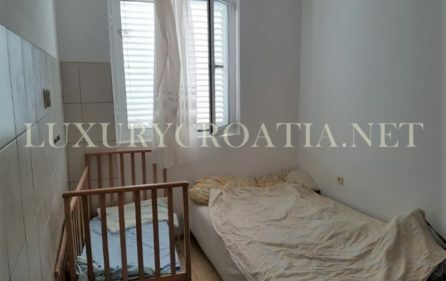 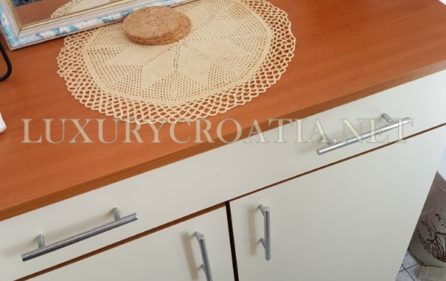 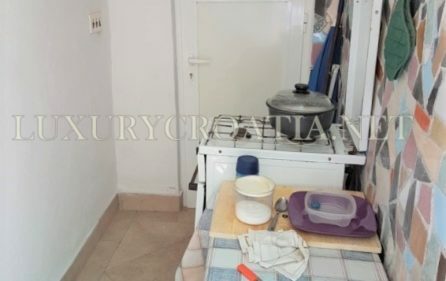 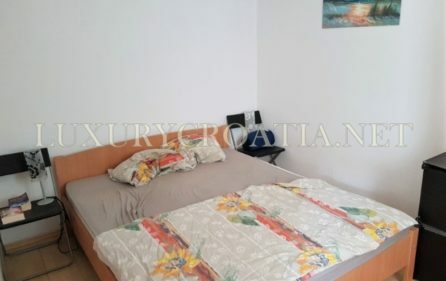 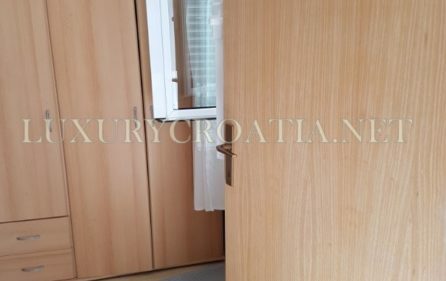 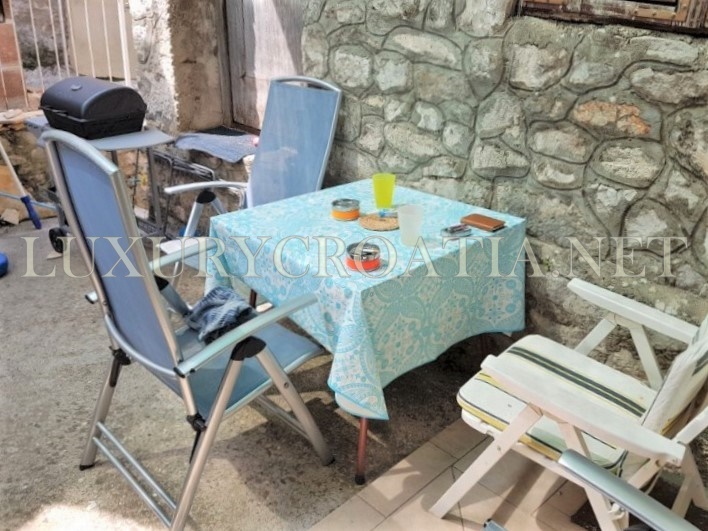 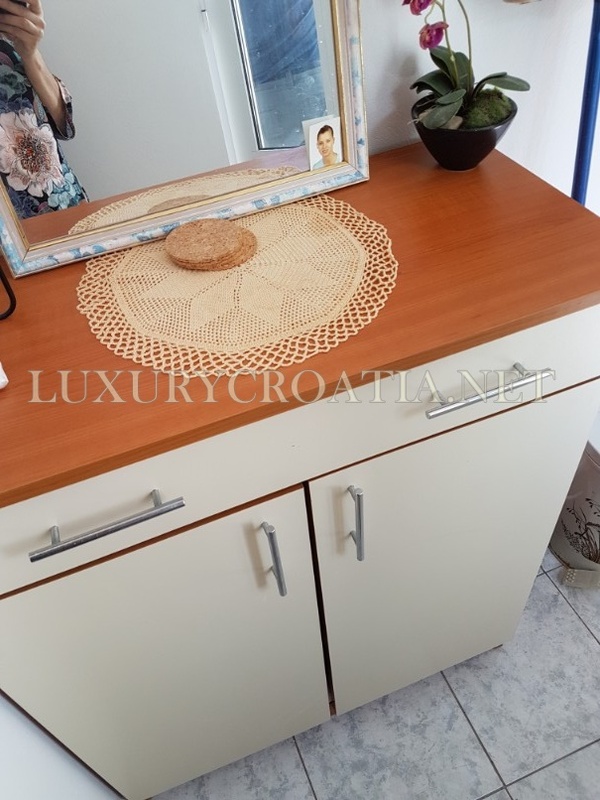 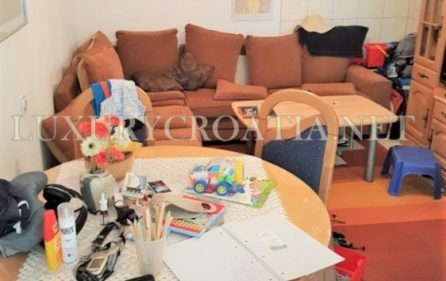 In this village people live all year so this house is also suitable for all year living, and also great potential for rental business as it can be rented as 3 separate apartments. 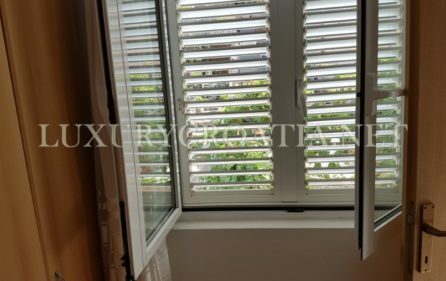 If you need advice in the rental business, please feel free to contact us, we are also successful rental agency and we can calculate rental profit for this house per season and occupancy per season.